It’s pretty much a moral imperative that I start this post with a shoutout to my friend D., who, upon seeing the title of the first post of 30 Days 2.0, commented, “I’m impressed with how many titles that has. I predict an Electric Boogaloo by day 5.” Hence today’s title, and the main reason today’s scent is one I’ve briefly reviewed previously. 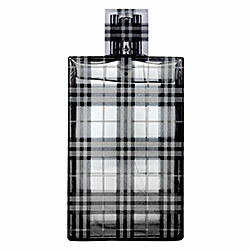 Burberry Brit for Men is one of the few male-marketed fragrances in the Western market that centers around a rose note. Interestingly, in Middle Eastern traditions, rose scents are considered to be masculine because of the rose, where Western fragrances, if they include it, are marketed as masculine in spite of containing rose. (A good example of a Middle Eastern-style rose fragrance put out by a European company would be Guerlain’s Rose Nacree du Desert, part of their exclusive Les Deserts d’Orient line.) That said, while it smells fantastic on a man, you all know that I don’t subscribe to the idea that fragrances have gender. Say it with me, Stylies: Wear what you love! I have no shame wearing men’s fragrances myself, but I do think this one should actually have been marketed as unisex. This opens up with a good dose of ginger, along with a slightly less bold cardamom and some faint hints of citrus notes (mandarin and bergamot, per the description, but they’re light enough that I can’t identify them by scent, just that there’s some citrus there). As the top notes fade off, the rose kicks in, but so do the nutmeg and other spices, with a bit of cedar to keep it interesting. The official listing doesn’t say anything about it, but I feel like I almost pick up something a little bit powdery at this stage, but that’s something I get pretty often when a scent combines rose with warm spices. The base is tonka bean, more cedar, a bit of musk, some unnamed “exotic” wood note, and a very faint trace of patchouli. Brit for Men isn’t one with monster projection, but in terms of longevity, it’s an absolute beast. I applied it 9 hours ago, and while it’s been a skin scent for the past 3, I can still detect it if I sniff for it. It has a very polite sillage, where with two sprays it can’t be smelled outside one’s own personal space, which is how I like it. It’s obvious that it’s by a British company, because it does beautifully in cool, damp weather. I can picture this being the scent of choice for Benedict Cumberbatch in his portrayal of a modern Sherlock Holmes. You know I’m a tough reviewer, and I don’t give 10s, but really, the only place I can see that Burberry missed the mark with this one is by marketing it as men’s rather than unisex. It’s also worth noting that because of the mass availability of Burberry fragrances, there’s no need to ever pay department store markup for this one. Retailers such as Perfumania carry it regularly, and the outlet stores like TJMaxx and Marshall’s get this in all the time. Even barring that, there’s all kinds of discounting online for it, so there’s no need to pay full price. 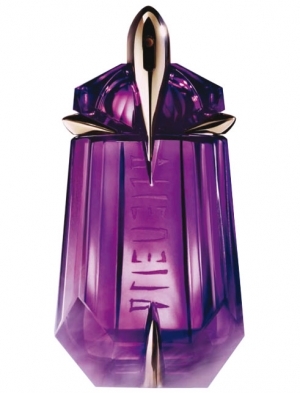 Today’s scent is Alien by Thierry Mugler, released in 2005. Like its precursor, Angel, Alien has become the scent that launched a thousand flankers, but for me, the original Alien is the classic. 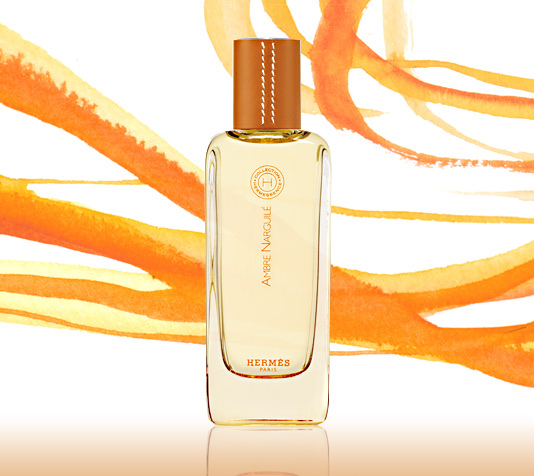 If you look at the breakdown of the notes–jasmine top, woody heart, amber base–it looks so simple, but it’s rich and elegant and unique. One thing to be aware of with the Mugler fragrances, though, is that they’re all very sensitive to skin chemistry. There’s no such thing as a safe blind buy with a Thierry Mugler scent. An interesting thing about Alien is that it’s available in a refillable bottle, and some retailers will actually have a refill station for your bottles of Angel and Alien. It’s not something you find with very many scents, and I think it’s a lovely touch, encouraging people to A. stay with the scent for the long term and B. reuse the first bottle instead of wasting resources. The jasmine in the opening has almost a grape-soda aspect, similar to the jasmine in Givenchy’s Ange Ou Demon Le Secret Elixir, but without the medicinal tang that turns LSE to Dimetapp on my skin. As the wood heart takes over, the scent becomes drier, leaving just a tinge of floral sweetness as the scent progresses. Four hours in, I’m left with a cloud of soft, sensual amber with a lingering trace of wood to keep it from being cloying. This isn’t a scent for everyday wear–I’d use one of its flankers, such as Alien Aqua Chic or Alien Extraordinaire, for that–but for a special occasion when you want to stand out from the crowd. The initial projection is a bit loud, but it settles down to polite levels after a bit. On me, it’s a longevity beast, lasting a solid 8 hours on a good day. I have to say that the bottle shape is a bit strange, reminding me of Gonzo’s family members in Muppets From Space, but with a name like Alien, it’s clear that they were going for an otherworldly concept. It’s not their fault that my thought processes run more towards Muppets than Area 51 for it. This time of year, more than any other, we’re bombarded with advertising for jewelry. Apparently that’s what every woman wants for Valentine’s Day and is supposed to respond by enthusiastically jumping her partner’s bones. (Personally, I don’t buy it. My desire for someone has nothing to do with the gifts they buy. But that’s me.) So here’s a basic run-down of what to know going into a jewelry store. The salespeople there work on commission. That means that it’s in your best interests to have an idea of your budget and of what you want going in. All the major jewelry chains have websites, and if you have an idea of what you want to get and what you want to spend, it saves a lot of dancing around. Sizing rings is not free, and it has turnaround time. If you want a ring sized in time for Valentine’s Day, you’d better purchase at least a week in advance, preferably more. “Chocolate” and “champagne” diamonds are a marketing gimmick. Brown diamonds are actually the most common diamonds in the world, and companies now are marketing them as though they were something special. They’re not. Likewise, black and blue diamonds are heat-treated or irradiated to enhance the color, rather than being something super-rare. A natural blue diamond is worth a lot of money, but it’s not nearly the deep, rich color that you see in the treated ones–it’s barely blue at all, more like an aquamarine than the darker shades of topaz. 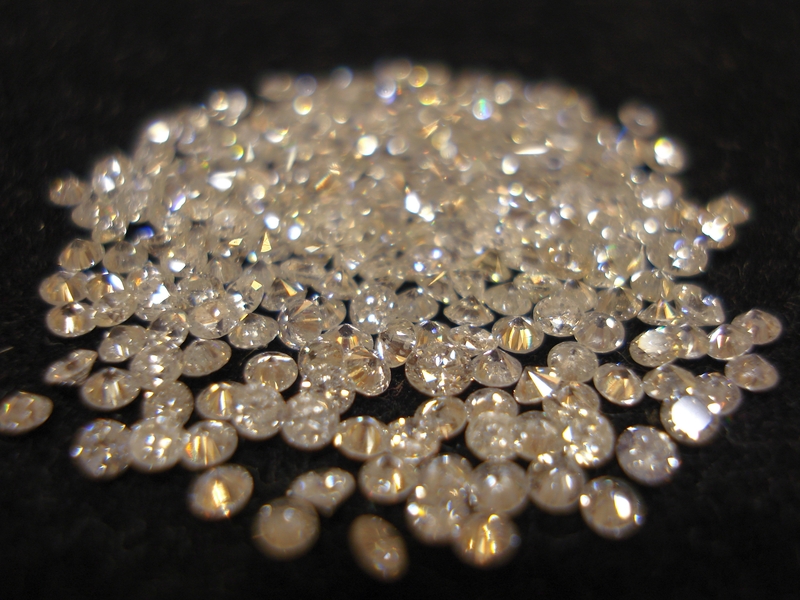 If you’re going to be buying diamonds, know the 4 C’s: carat weight, cut, color, and clarity. Also, understand that if a company says “this is the most important one of the 4 C’s,” it means “this is the category we’re paying attention to, and we slack on the other three.” Learn what differences *you* can see in a stone, because everyone’s eye is different. Personally, color matters to me. I can see the difference between an H and an I color. GIA, one of the best-known diamond grading groups in the world, has an excellent guide to how diamonds are rated here. Unless you’re going to take advantage of an interest-free promotion and know for sure that you’re going to pay it off within that time period, don’t get suckered into a jewelry store’s credit card program. 25% APR isn’t uncommon on those, and it’s ridiculous to pay that kind of interest if you don’t have to. If there’s an extended care plan offered, take it, especially if you’re buying a ring or anything in white gold. Ring sizing isn’t a lifetime thing; in the past year, I’ve gone from a size 8 to a 6 1/2. It’s well worth your while to assume that a ring will have to be sized more than once in the time you have it. Also, white gold, in addition to containing other metals besides gold (all jewelry does–pure gold, which is 24 karat, is far too soft for jewelry), is plated with a metal called rhodium, which is part of the platinum family, and that plating wears off over time. Getting it replated once usually costs as much as the care plan, and for pieces that are going to be worn every day, you’ll usually need them redone at least annually. Don’t fall for watches that have the names of pricy clothing or handbag companies on them. A $400 Michael Kors watch has the exact same movement, made by the exact same company, as a $60 Fossil. If you’re going to buy an investment watch, get one that’s made by a high-quality watch company. Movado’s Bold line is a much better investment for the same money, as are Citizen, Invicta, and Bulova. There will be a post later on how to choose a good watch, but for now, look for one that’s made by a watch company, not a clothing designer. Otherwise, you’re paying just for the name. Most jewelry stores have a private room where they take you if you’re looking at a high-end diamond. If you’re not looking to buy right away, don’t agree to go back there. Otherwise, you’re consenting to a high-pressure sales pitch. It’s like buying a car–once you’re off the sales floor, you’re probably going to end up talked into buying. Most importantly: don’t wait until the last minute. Get your gift well in advance, and know you’ve gotten what you want, instead of waiting until the day you need it and taking what you can find. Valentine’s Day, like Christmas, comes on the same date every year. You know it’s coming, so be prepared instead of panicking. If you have any other questions about jewelry shopping, please feel free to leave them in the comments!